In their notice to the court, lawyers for the U.S. Department of Justice said they "acknowledge and sincerely apologize" for not providing state leaders with notice about the resettlement. "The failure to provide the required notice on the instant occasion was inadvertent, not intentional, and apparently occurred because of miscommunications among personnel within the Department of State," they wrote. The U.S. State Department's list of refugee arrival shows 10 Syrians have resettled in Texas so far this year, all in Houston. The agency did provide adequate notice for three of those 10 refugees, according to court documents. Paxton’s office has fought the federal government in court for nearly two months over the refugees with little success. In December, 21 refugees arrived in Texas despite outcry from the state’s Republican leadership that resettlement posed a threat to the state's security. Godbey ruled twice against Paxton in December, allowing the resettlement to proceed. In September, the State Department announced it would accept 10,000 Syrian refugees in the next year. Thousands have fled war-stricken Syria, mostly to Europe, Turkey and Jordan, fleeing civil war and the terrorist group ISIS. It is unclear how many of those refugees would have ended up in Texas, but in recent years, the Lone Star State has accepted about 10 percent of the 70,000 refugees admitted into the country annually. In 2015, 215 Syrian refugees resettled in Texas. Worried about the security screening of refugees, Gov. Greg Abbott joined more than two dozen mostly Republican governors who vowed to keep Syrian refugees from their states in the wake of the November terrorist attacks in Paris. 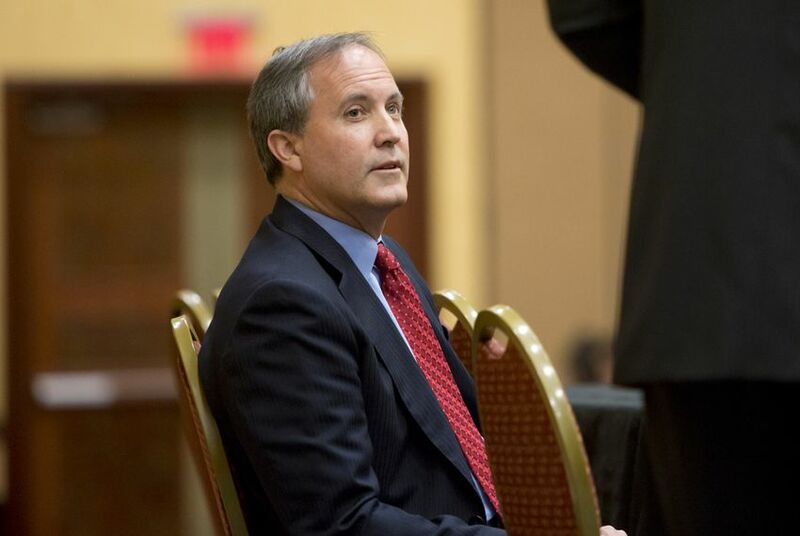 The federal government has said governors do not have jurisdiction over refugee resettlement, and several refugee groups in Texas said they would continue aiding Syrian refugees despite the governor’s directive. The state's original lawsuit was filed in December against the federal government and the International Rescue Committee — one of about 20 private nonprofits that have a state contract to resettle refugees in Texas — after they informed the state they would move forward with Syrian refugee resettlement.